Christmas jumpers are both cosy and jolly – and why should we humans hog all the fun? Aldi has launched a brand new matching jumper range for you and your pet to celebrate your bond. Perfect whether you are a dog or a cat person. Or, of course, if you have a particularly fat rabbit. You and your furry best pal will look adorable as you keep the frosty weather at bay in these – extremely reasonable – Fairisle Christmas Pet Jumpers. 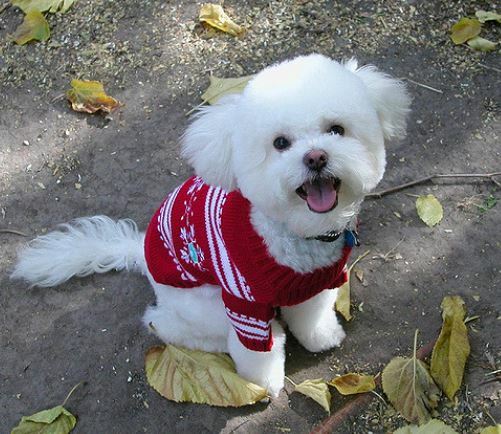 Pet jumpers – which come in various shades – are priced at £3.99. The sweet penguin design is my personal fave, but this will all depend on your pet’s individual sense of fashion. 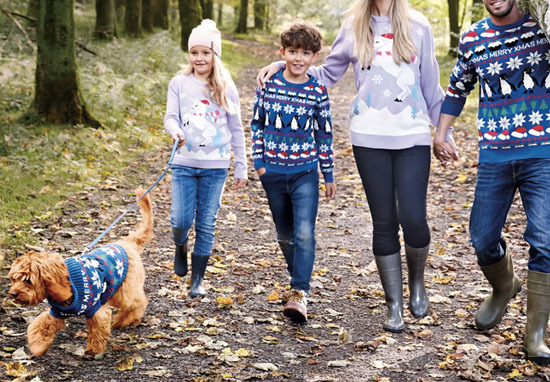 There are of course regular human jumpers, in sizes to fit the whole family; £7.99 for adults and £5.99 for kids. This really isn’t bad value at all when you look at some of the prices out on the high street, and there are some really cool designs too, from ‘lilac unicorn’ to one bearing the relatable slogan: ‘Eat, sleep, turkey, repeat’. Despite their natural furry coats, some pets require a little more warmth over winter, whether they’re dozing in the house or running about on a brisk walk. Our Pet Collection Unicorn Christmas Pet Jumpers are designed to be suitable for both, with three sizes available and a button hole to put the lead through. If you didn't spend your Saturday forcing your dog into Christmas jumpers and humiliating him, you aren't living life right. Festive holiday clothing doesn’t have to end in your own wardrobe. 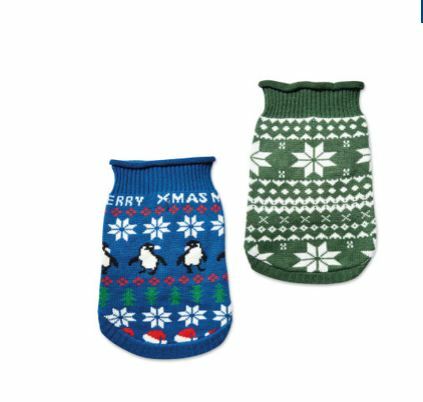 Available in both classic green and white and a navy blue penguin design, our Fairisle Christmas Pet Jumpers will ensure that your furry friend stays warm and cosy during winter – and they’ll look adorable too! With three sizes to choose from, you’ll be set for Christmas walkies! Aldi also advise you keep an eye on your furry friend while they are wearing their jumper – just to make sure they aren’t too overheated or restricted. The jumpers have already sold out online, but you can still snap one up in your local Aldi store – if you’re quick. I cannottttt wait for fairy lights & Christmas jumpers & long, dark evenings ? Also can't wait to put the dog's Christmas jumpers on ? Thrifty shoppers are already posting some excellent photographs of themselves posing in their new matching woollies. 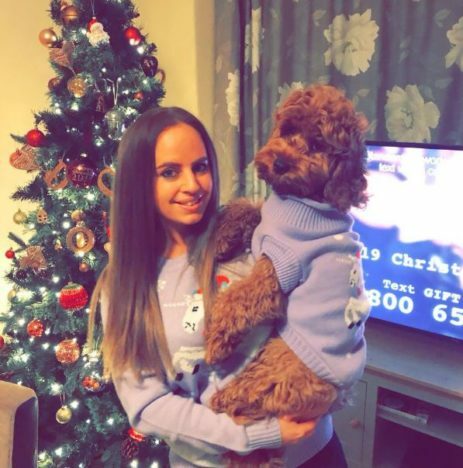 If there’s anyone on here who’s as obsessed with their dog AND Christmas as me, you’ll be pleased to know Aldi are doing matching Christmas jumpers in various colours. Look, your dog has been a dedicated good boy all year long. He has kept that dastardly postman away and has efficiently barked you awake during many a lie in.